We know that Merivale does good things, and as a dining powerhouse, their food will always hit a minimum, consistent standard. Combine that with experienced, star chefs, and you’ve got yourself a recipe for trendy restaurants that makes food-lover’s mouth water, and eyes glaze over. The latest project is Patrick Freisen’s Work In Progress (WIP), and they have been drawing extended crowds in with a menu of Fried chicken, and Lo Mein. 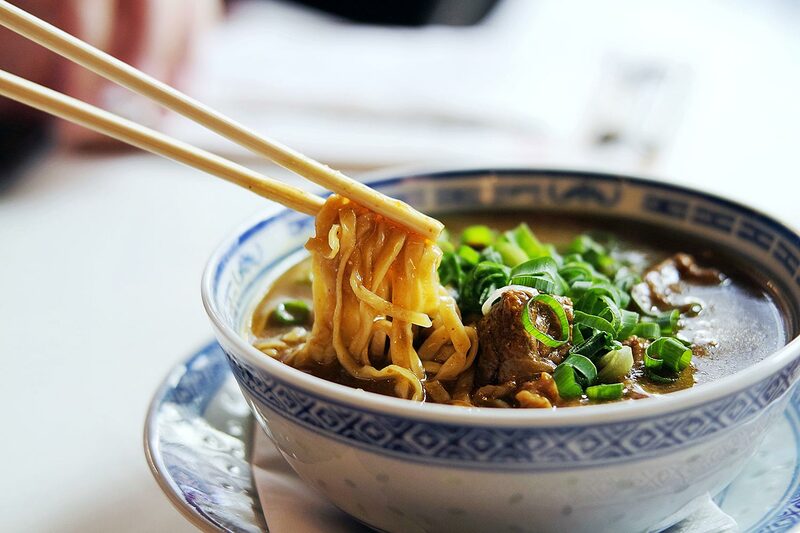 I’ve never been a huge fan of noodles in watery soup, but there’s a very thin line between soup and gravy, and this curry sauce with its tender beef brisket pieces and yellow strands of noodles is my very definition of comfort food. This serving of Curry Beef Brisket Lo Mein looks a bit on the small side, but the bowl contained a good amount of food, and I wasn’t actually left wanting. And then, fried chicken! Because who can resist fried chicken? The Ginger Fried Chicken tasted like plain fried chicken to me – not a bad thing! – and the Chilli Fried Chicken brought a really nice punch. My favourite part is licking off the sticky glaze from my fingers, and the juxtaposition of the crunchy, sticky and juicy in the one delicious bite. The Pnom Penh Wings also made a fantastic impact on me, mostly because the lime and white pepper dipping sauce provided a refreshing palate cleanser of sorts that kept me going back for more chicken! It’s a great non-committal way to try out new dishes, and providing new lunch options to those working in the CBD. Sure, the meals aren’t exactly what I would call “value for money”, but it is good food executed at high standards, so…you get what you pay for. Give it a try next time you’re in town – we don’t know when this pop up will ship out.